Soft maple grows throughout the central and eastern United States, and trees average a height of 70 to 80 feet. 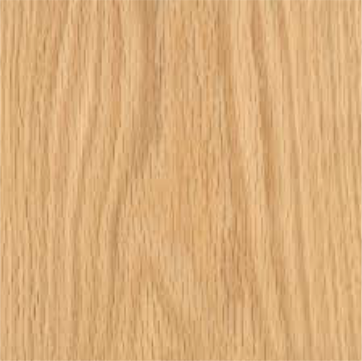 Soft maple makes up 5% of the commercially available hardwoods in the United States. 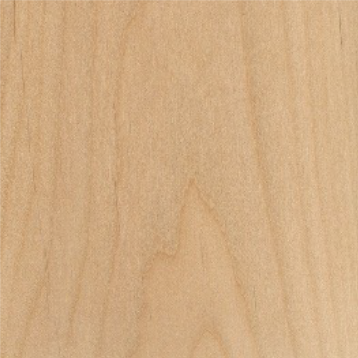 Its sapwood is generally creamy white with some darker colored pith flecks. Its heartwood varies from beige to brownish. Less dense than hard maple, its generally higher priced cousin, it is often used as a substitute. 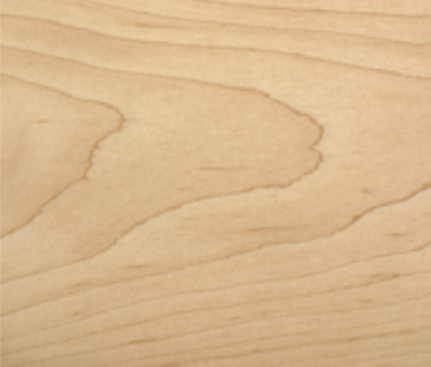 Soft maple is a straight-grained wood with a fine texture. It has good machining properties, turning and planing quite well. It also has good steam bending properties, and glues, screws and nails satisfactorily. Soft maple accepts stain and finish beautifully. Red oak trees average 60 to 80 feet in height. It is the most plentiful species of oak in the United States making up 31% of the commercially available hardwoods in the country. Red oak from the northeast is known for its beautiful texture and color. Southern red oak grows faster and taller than its northern cousin thus providing long lengths that are well suited for moulding and millwork. The sapwood of red oak is white to light brown, while its heartwood is pinkish red brown. 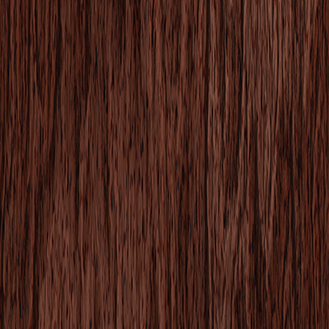 Red oak is a heavy and hard with a high shock resistance. The wood is mostly straight-grained with a classic coarse texture that is poplar with consumers. It takes stain and finish beautifully. The wood can have a moderate blunting effect on cutting surfaces, so sharp tooling is recommended. Alder grows from southern British Columbia to Northern California. Trees average approximately 90 feet in height. They mature in 30-40 years and begin to deteriorate after 60 years. Alder makes up approximately 3% of the commercially available hardwoods in the United States. When freshly cut, alder is almost white but quickly changes to light brown with a yellow or reddish tinge. There is little difference between the heartwood and sapwood. Alder is a medium density hardwood with close grain and fine texture. It is moderately light in weight, machines and turns well. It has good fastening properties and stains easily, but is appealing in its natural state.